For those who would like to do something for Linda, we are asking for contributions towards the costs of the funeral and mortuary services. We are also hoping to install a bench at her favorite park with a memorial plaque in her name. Credit card or electronic donations can be made through PayPal or Venmo. We appreciate all of the love and support we’ve received from so many of you already. Please share this with anyone who knew Linda and may want to attend the service. Linda Lee Johnson Melven, 73, passed away peacefully July 30, 2018 at North Valley Hospital in Whitefish, Montana. Linda was born September 13, 1944 in West Palm Beach, Florida to S. Frank Johnson and Charlotte (Diebert) Johnson. She was the second of three girls, Julie the oldest and Joyce the youngest. She met and later married her late husband, Edward Melven, in West Palm Beach November 9, 1964. Linda gave birth to the first of her own three girls, Laurie, in May of 1966. The family soon moved to Traverse City, Michigan, where Beverly (April 1969) and Susan (August 1972) were born. 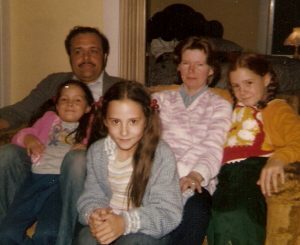 In 1973, the five of them drove up the Al-Can to live in Anchorage, Alaska. The family spent several years in Anchorage before moving out to the more rural Wasilla, where the three girls grew into adults. When the girls were teenagers, Linda worked part-time at the local McDonald’s, where Laurie and Bev also worked. After the girls grew up and moved away, Linda spent several years in Kalispell near her daughter Susan’s family before returning to Wasilla in the mid-1990s. She moved back to the Flathead Valley in 1997 and never left. She spent many years working at the McDonald’s in Kalispell before her stroke in 2006. 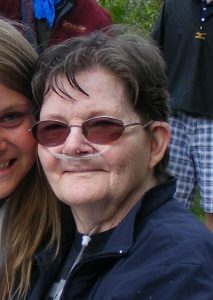 She was living at Genesis HealthCare Center in Whitefish when she passed away due to advanced emphysema and metastatic melanoma. Linda enjoyed playing bingo and keno and seemed to win more than she lost. She loved both jigsaw and word puzzles, reading autobiographies, riding her bicycle around Kalispell and baseball – both playing as a young girl and watching as an adult. Preceding Linda in death were her parents, S. Frank Johnson and Charlotte (Diebert) Johnson, her husband, Edward Lyle Melven, and her son-in-law Jim R. Nelson. Linda is survived by her sisters, Julie Smith of Wingate, NC, and Joyce Judd (Robert) of Greer, SC, and her daughters, Laurie Whittum (George) of Whitefield, NH, Beverly Melven of Seattle, WA and Susan Nelson of Hungry Horse, MT. She is also survived by her grandchildren Carl Camp, Suzanna (James) Ploss, and Renae and Kalob Nelson, and one great-granddaughter, Serenity Ploss. A service in memory of Linda Melven will be held at 2pm, August 17 at Columbia Mortuary in Columbia Falls. Donations to help defray funeral expenses and install a bench at Woodland Park in Kalispell in Linda’s name can be made to the family.